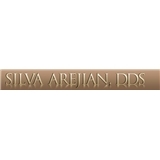 Silva A. Arejian D.D.S (Los Angeles) - Book Appointment Online! For years, Los Angeles-area residents have relied on our practice for their dental needs. Dr. Arejian and our experienced team provide a wide range of dental treatments, from family dentistry to implant dentures, so you can receive your dental care in one convenient location. Best of all, our downtown Los Angeles dental practice is surrounded by other medical professionals, so we can offer specialized services from our Los Angeles office park. Comfort, convenience, and quality are what you can expect when you visit our office for your dental care. We combine comprehensive care and the latest techniques to offer you the full scope of general dentistry and cosmetic dentistry services. Our office features modern amenities, such as personalized music headphones and digital photography, and we offer contemporary treatments like Zoom! Whitening and all-porcelain crowns.